Katie’s love for fitness started soon after the birth of her first child 18 years ago. She packed on the pounds during pregnancy. Soon after, she FOUND herself in the gym. Katie’s husband, Bryan, was stationed in Fort Hood, TX. The couple had one car which Bryan drove to work everyday. Sportsworld Family Fitness was within walking distance of their tiny apartment. Katie would walk there everyday. It started as a place to get two hours of free childcare but turned out to be the place Katie found her passion. Cardio Kickboxing became an outlet for any stress she felt. It wasn’t long before the instructor of the class asked Katie to substitute for her. 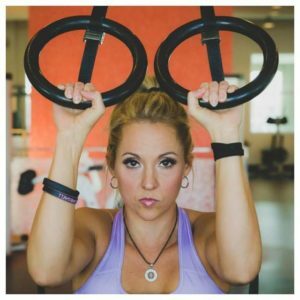 Katie was terrified walking in to teach this class but once the music started, her inner Sasha Fierce was unleashed, and her love for teaching others about fitness began. Katie considers herself a connoisseur of health and fitness. She even taught group exercise to soldiers for PT which prompted her to opened her own bootcamp business in 2010. Wanting to see how far she could take her body, she started bodybuilding. Katie competed successfully in the NPC in national level bodybuilding competitions. Today, Katie is focusing on finding balance with her family and friends, food, fun, and fitness! It is her goal to help her clients achieve the goals they have. Katie offers one on one personal training, group training, monthly meal and workout plans to members of The Shop Gym. If you have questions regarding Katie’s services, contact her here. To get started, click the button below! Dylan found a love for strength training at the age of 14 and spent his teenage years reading and applying every bit of information he possible could on the subject. Unfortunately, Dylan sustained a spinal injury due to improper coaching and had spinal surgery in 2007. Following surgery, Dylan began his quest toward full recovery including physical therapy and learning how to move properly. After graduating college with a degree in Kinesiology, Dylan embarked on a career as a Personal Trainer and taught professionally for the National Personal Training Institute. Within his first year as a trainer, Dylan fell in love with the sport of Powerlifting and has worked his way to becoming one of the foremost authorities in the area on the sport. 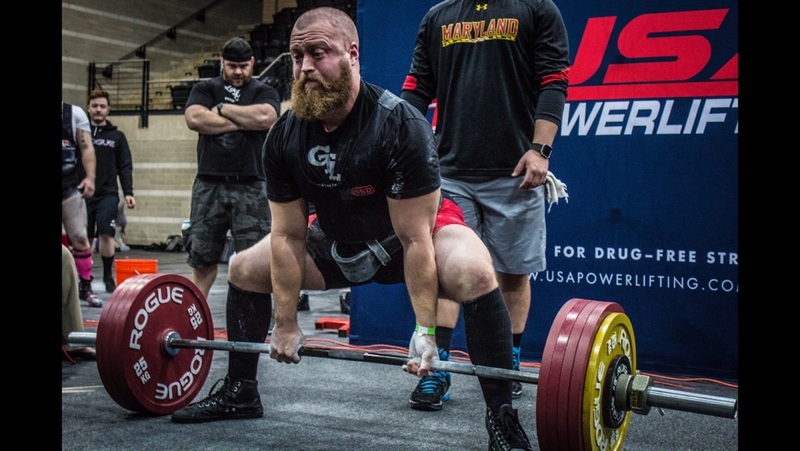 In addition to coaching lifters at the National level, Dylan is also a USAPL State Ref as well as a Nationally Ranked lifter. With nearly a decade of experience in face-to-face coaching, refining technique, educating, and developing lifters of all ability levels, Dylan is a good fit for anyone looking to take their skill and knowledge within strength training to the next level. The individuals who find success working with Dylan are genuinely interested in maximizing the effectiveness of their training. This includes addressing technical and physical weaknesses with the goal of becoming stronger than ever. I work very hard for my clients and I expect hard work and commitment in return. I am honest and sincere with my lifters and take their goals upon myself as if they were my own. This is not a hobby, this is my life’s work and my full-time career. If you’re interested in a truly personalized coaching experience I’m here when you want to talk. Big Three Strength provides the highest possible quality of in-person training and virtual coaching for all persons interested in Powerlifting and serious strength training. BTS believes in passing on as much knowledge as possible to clients, while teaching them how to move well and strength train effectively. The family of BTS lifters has spanned the ages of 12 to 80 years old as well as everyone from novice lifters to top nationally ranked Powerlifters. Additionally, with the use of Virtual Coaching, lifters from around the world have been able to take full advantage of Dylan’s coaching.